Introducing the Spartanics CS2000 Converting Machine. 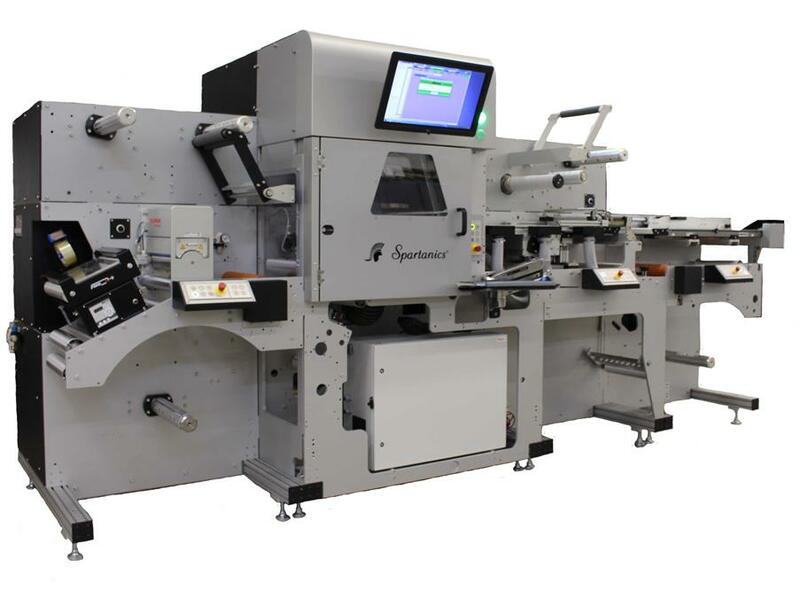 The CS2000 is a modular label finishing system that is integrated with Spartanics Fast-line AI plug-in die line creation software and Spartanics workflow application. With the CS2000, converters are able to run roll-to-roll, roll-to-sheet or roll-to-part and can reconfigure or expand functionality as your needs change. Converters looking for system flexibility can count on Spartanics to provide the most modular system on the market today. For more information on how Spartanics can provide a laser cutting solution for your specific needs, please contact us by filling out our ‘Contact Form‘ or call us today at +1 (847) 394 – 5700.